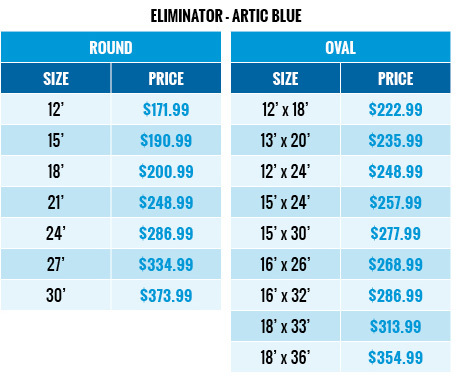 Securely Winterize Your Pool This Season With The Arctic Blue Eliminator Cover! 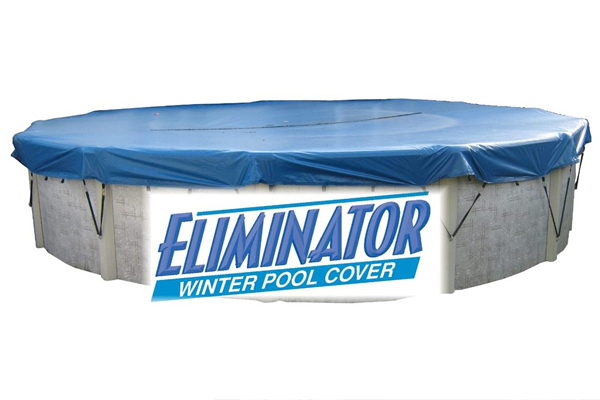 The Eliminator Cover works to protect your pool from harsh winter weather. This easy to install cover is lightweight making it easy to maneuver for installation, and stores easily during the swimming season. Over the winter, snow buildup will weigh the center of the cover down to water level. As the water begins to melt in the spring, the water will pass through the mesh line down the center of the cover, allowing the cover to slowly rise across the pool allowing dirt and debris to blow away! Save yourself hours of work with this simple to use, easy to install, and nearly free of cleaning cover.